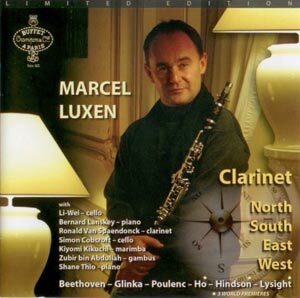 Nintendo Music, for clarinet in A and piano, has recently been recorded by Marcel Luxen (clarinet) and Shane Thio (piano). For a sneak peak check out Marcel’s site at http://www.marcelluxen.com/live/ and click on the Listen tag at the bottom of the image on the new page. It’s a wonderful recording and captures the joy of 8 bit gaming very well. I am told by other clarinettists that successfully performing some of this piece is as difficult as beating Battletoads, so this fabulous recording is a great achievement. Two works for violin and piano have recently been completed. The first of these is the Violin Concertino: Summer Stories. This work was commissioned by Michael Patterson and Ars Musica Australis. Mike Patterson particularly wanted a work in which the solo violin part was not too difficult – that is, it would be playable by violinists of standard between Grades 7 and A.Mus.A. AMEB levels. The work is subtitled “Summer Stories” because each of its three movements relates in some way to an aspect of summer. The second new work for violin and piano is Maralinga. Maralinga is a place in the South Australian desert, and was the site for secret British nuclear testing in the 1950s and 1960s. Not a happy place in Australian history for either the Aboriginal inhabitants of the area, nor the Australian service personnel who were unwittingly used as guinea pigs for the effects of radiation. Maralinga was written for Lara St. John, who will premiere the piece on 20 March, 2009. It was commissioned by the Wolf Trap Foundation for the Performing Arts. Audio recording performed by Katarina Kroslakova. “…Techno music, nominated by Hindson as his stylistic starting point, is the sort of music you make when you want to grind your heel – ever so nonchalantly – on the old idea of music as a nobly expressive, humane activity. “Its mechanical repetitiveness of figuration and beat is a finger sign to musical as tradition – and, in case you feel like raising a red flag in sympathy, it means the same for the idea of music as revolution. This is music which goes with the spurious sense of immunity a hoon might feel while revving-up a wreck on the way to a fast-food joint; its moments of plastic jubilation, faithfully echoed by Hindson, at best fit the closing shots of the lastest action picture schlock”. This work for solo piano, Moments of Plastic Jubilation, was written partly in response to the above review, but also as being something of a representative summary of many of the composerÂ¹s beliefs regarding music and its place in contemporary 20th/21st century society. Whilst the work at times demonstrates musical correlations with certain forms of popular music styles, it was also composed using 1960s-style modular techniques. The work is thus very sectional, and relies more heavily on contrast rather than exclusive motivic development to carry the music forward. It was commissioned by ABC Classic FM for performance by the superb Australian pianist, Michael Kieran Harvey, as part of the ABC’s Millenium celebrations. Fred Blanks, North Shore Times, 11 April 2001. 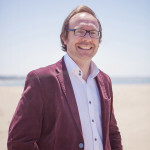 “One of the important developments of music since the 1970s has been the rediscovery of simple repetition… The Australian Virtuosi’s programme on Saturday explored a series of pieces in this style – you might call it post-minimalist, since the rhythmic complexity of these works is far from minimal, as was evident from the two premieres of the evening. The first was Matthew Hindson’s Moments of Plastic Jubilation for piano solo (Michael Kieran Harvey), on of the expanding group of recent Australian pieces drawing their titles from the words of bad reviews (I hasten to add that your present correspondent has never been immortalised in this way). In this case, Hindson was inspired to a particularly graphic representation of a view once put in this newspaper that techno music grinding its heel on the old idea of music as a nobly, expressive humane activity. After a few token bars of humane activity, Hindson’s heel-grinding became at times a slightly predictable thrash. There was more here, however, than the simple relishing of bad manners, and despite its excess, effectively realised by Harvey, I didn’t find the style gratuitous. As in many modernist pieces, subjectivity can be effectively expressed by its absence.Peter McCallum, The Sydney Morning Herald, 4 April 2001. Patricia Kelly, The Courier-Mail, 26 July 2001. “My next musical outing an up-to-the-minute recital by Michael Kieran Harvey and Bernadette Harvey-Balkus at the Opera House Studio showed how much Australia has changed since Darcy’s time. The oldest work on their program was an over-long two-piano Suite by Rachmaninov; the rest was skating-on-extremely-thin-ice post-modernism. … the techno-junk of Matthew Hindson’s solo, Moments Of Plastic Jubilation (all plastic, little jubilation), added nothing to its composer’s reputation … We have to hear this stuff to be reminded of what substantial and significant piano repertoire really is. ” John Carmody, Sun-Herald – Metro, 8 April 2001. An analysis of this piece with further background info in PDF format is available by clicking here. Also available in a version entitled Plastic Jubilation, for piano and prerecorded part (12 minutes, 2 movements). Clayderman’s style of pianism is certainly very distinctive and while it used to drive me crazy at school when the librarians played it day in, day out, while I was trying to study, it certainly isn’t his fault. Summer is my favorite season of the year. In Australia everyone is more relaxed in summer: taking time out, going on holidays and enjoying outdoor activities. Each of the movements of this piece is inspired by an aspect of summer in this country. The first movement, Moderato, is based upon the long, flat roads of inland Australia. Travelling down these roads in a car, the outside heat bakes the bitumen and the wider landscape, producing a shimmering effect. It is symptomatic of a country which has existed for millions of years, and which will exist for millions more, long past humankind. The second movement, Molto Andante, is also inspired heat by the image of an elderly person reminiscing on their verandah at a summer day’s end, remembering friends and relatives long passed away. Fun at the beach is a typical aspect of summer in Australia enjoyed by millions of people every year. The playful mood of the final movement, Vivace Giocoso, was written with this in mind. Violin Concertino was commissioned by Michael Patterson and Ars Musica Australis. notes by Matthew Hindson, 2009. The violin part in this work is deliberately written to be playable by violinists of between a Grade 7 and A.Mus.A Australian Music Examinations Board (AMEB) standard. It is a suitable work for performance for HSC or Year 12 music examinations. The Australian aboriginal word Maralinga may sound quite beautiful to people outside of Australia, but to Australians its connotations are much more sinister. In the early 1950s, the nuclear arms race was underway amongst the major nations of the world. Great Britain wanted to test its recently acquired nuclear weapons, and Australia in the 1950s was a place that still regarded Britain as “home” (particularly the Australian Prime Minister, Sir Robert Menzies). Consequently secret nuclear testing was conducted in the South Australian desert, at Maralinga and Emu Creek between 1953-1963. Tests included some very nasty experiments with kilograms of plutonium which subsequently contaminated the test site. Unfortunately, according to a subsequent Royal Commission into the tests, it seems that the welfare of the aboriginal inhabitants and the Australian service personnel at the test sites was never taken into account. Australian military personnel were used as unwitting guinea pigs into the effects of radiation from these experiments. Maralinga was officially cleaned up by the year 2000, but the site and its history remains a stain upon Australia’s historical record. This piece makes reference to the long Aboriginal history at Maralinga as well as more recent events and attitudes. Maralinga was commissioned by the Wolf Trap Foundation for the Performing Arts, for premiere by Lara St. John (violin) on 20 March 2009.
notes by Matthew Hindson, 20009.